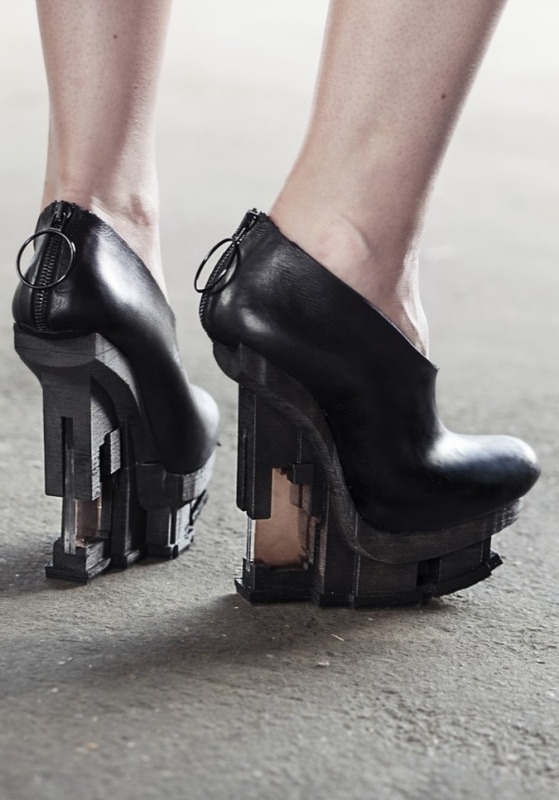 Of all industries, fashion seems to be the one that has most merrily embraced 3D printing. The technology’s combination of customisability and creative freedom makes it a perfect fit for those seeking more inventive ways to dress the human body. This week’s most captivating catwalk creation comes from Dutch designers, Chris van den Elzen and Judith van Vliet. EXCIDIUM is a shoe collection inspired by abandoned buildings that have been ravaged by nature, coated in moss and eroded by the atmosphere. The concept is to mirror in each 3D printed pump the life experiences of a rundown property. These abandoned derelict buildings bursting with ornaments. Overpowered by natural influences. They live their own lives. To make this concept a reality, the duo turned to Build Studio Pelser Hartman, a broad-based structural engineering firm that handled the 3D scanning of the buildings. 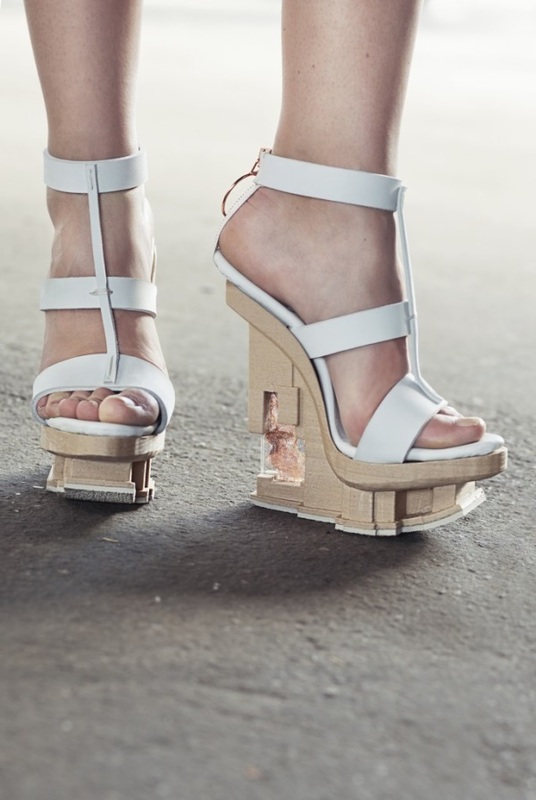 Dutch jewellery artist Peggy Bannenberg then 3D printed the shoe platforms at the iFabrica open space in Amsterdam, using an Ultimaker equipped with ColorFabb’s revolutionary WoodFill filament. If you don’t know about WoodFill, it’s a material made from 20% recycled wood that has been combined using polymer binders. It allows you to create objects that smell, feel and look like wood. Van den Elzen and van Vliet chose WoodFill as they wanted the shoes to have a natural aesthetic quality, further emphasising the themes at the collection’s heart. Each shoe is finished with a leather body and an acrylic copper heel insert, ensuring comfort. The EXCIDIUM collection will be one of the displays at Amsterdam International Fashion Week, which kicks off on July 11th.